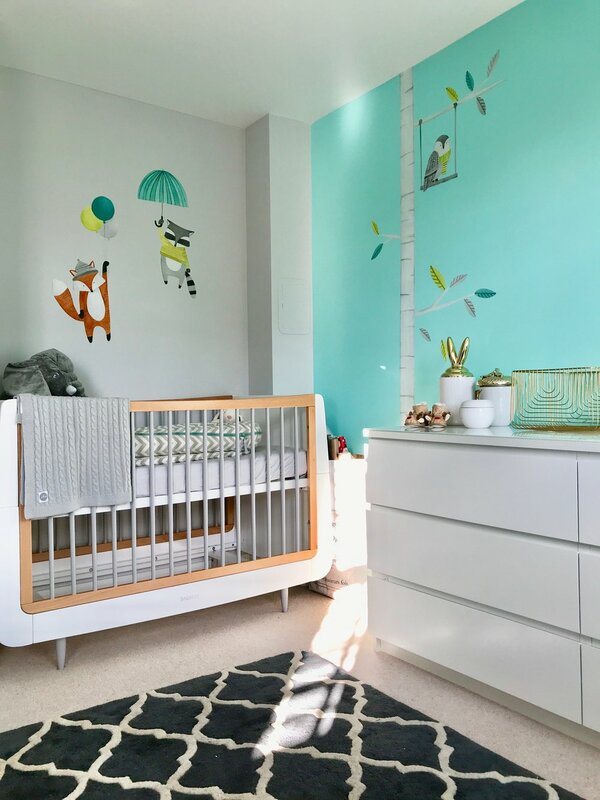 This nursery was designed for a special little bundle, we didnt know if it was going to be a girl or boy so we had to create a neutral theme. 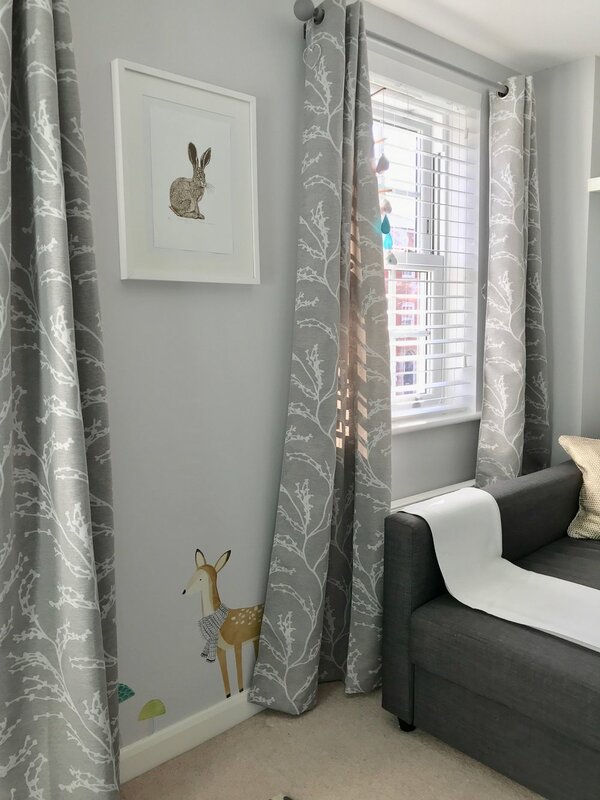 We decided to create a woodlands theme after finding the most gorgeous decals from Canadian brand Mej Mej. 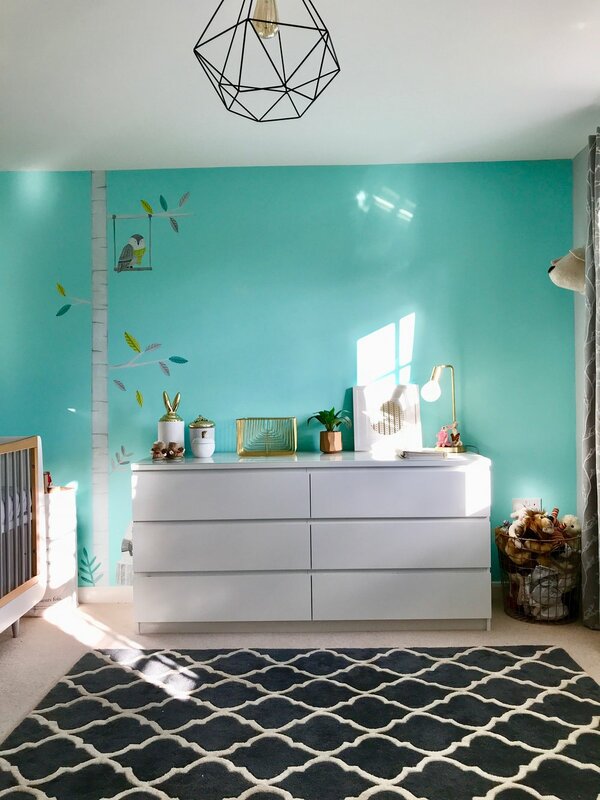 We wanted to keep the room neutral but decided to add a pop of turquoise in the room to create a bit of interest and fun.